I just imported a PowerPoint into Captivate 19. I can preview it in HTML 5 browser. I cannot get my project to preview in the SCORM cloud. Also, there is no imsmanifest file when I publish. Could this be because I added a pause button on each slide because I have the slide move automatically. I did not check ‘Linked’ when I started. Should I start over or play with the file? Thanks for this, very easy to follow and helpful! 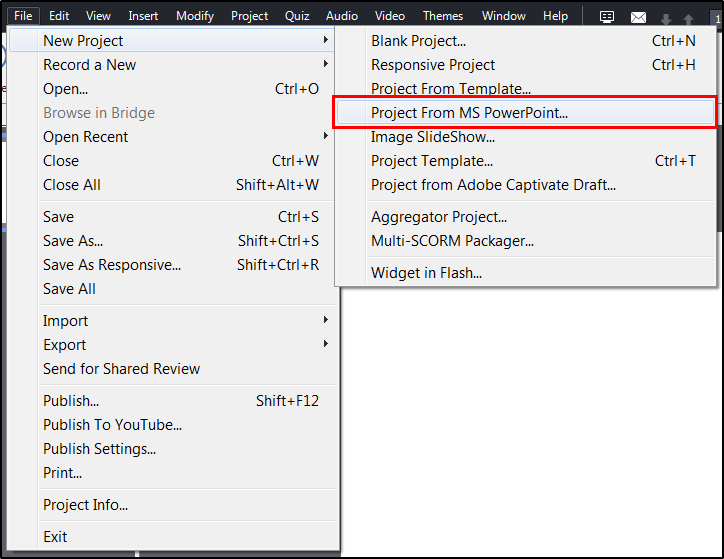 I would recommend building these presentation from start in Captivate, much more time to do this ofcourse…but in the long run you’ll have an updatable and fully editable document. I have converted my Powerpoint presentation thru Captivate to HTML5. It previews perfectly on my local host. But how do I publish it to a web server so the outside world can view it? 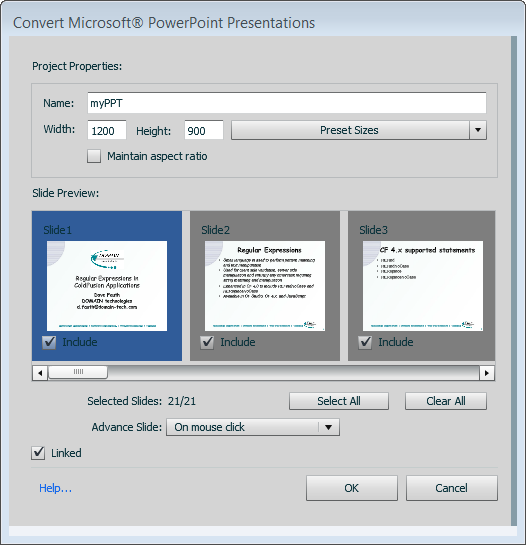 I think PPT is a good way for users who are experiencing Captivate for the first time. I would, however, encourage users to learn to build courses in Captivate to take full advantage of the power of this amazing tool! Baby steps, though, and this is a great way to build your first static course. Thanks Chuck. You just said it. 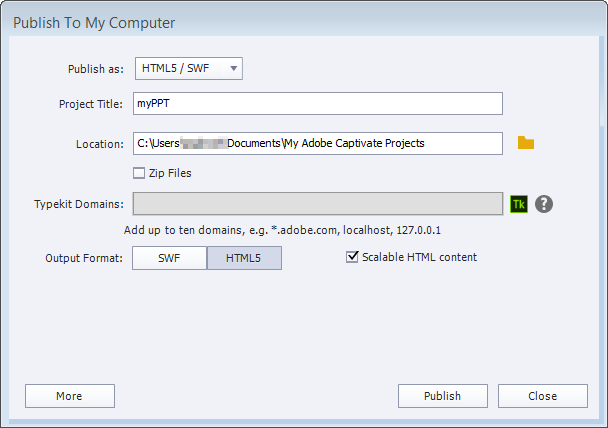 We also encourage users and learners to create projects natively in Captivate. and once they’ve mastered that, PPT comes then. That said, Captivate and PowerPoint are different tools and they serve different purposes. Yes, there are some points of congruence, in isolation, both tools are amazing.